Okay so remember how just yesterday I was telling you I couldn’t wait to show you the cover for Love at Roades End? It’s like the cover art gods were listening, because not a few hours later, it arrived in my inbox! It’s beautiful, and I love it. And the very amazing, incredibly talented, wholly wonderful LC Chase was the one who made it! Yay! I thought I knew what I wanted on the cover of this adorable short story which just makes my heart happy. And LC tried to give it to me. But she also gave me this cover, the one I chose, and when I saw it, I just couldn’t stop looking at it. Its all about the feeling, and this cover? It gets it right. The story isn’t out until February but in the meantime, feast your eyes on this! And the blurb, to whet your appetite! Sean Newvine is looking forward to his weekend at Roades End Inn so he can review his stay for inclusion on his travel website. What he never expects is for the owner, Hunter Roades, to capture his attention from the very start. The only problem is Hunter thinks Sean’s been sent by his brother on a blind date so that Hunter doesn’t have to spend Valentine’s Day alone. Once the awkward misunderstanding is resolved, Sean is charmed by Hunter’s formality and hospitality. And when they have a chance to talk, sparks really fly. A passion-filled night has them both wanting more, but Hunter pulls away knowing Sean doesn’t live in town and the distance might be more than they can overcome. Sean and Hunter must figure out if they can make it work for longer than one night, of if their chance at love will end at Roades End Inn before it can begin. And I haven’t even been worried that there has been no story in my head. Which is a new and novel experience for me. Not only not having something going on in my head, but not being worried about it. I worry about everything, it’s who I am, and so to be all “I don’t care” about not having a story playing in my brain was kind of nice. I joked and teased that I was giving up writing for good, so I didn’t have that pressure in my life, but we all knew that I wasn’t serious…even when I claimed to be. A writer’s got to write, and I am that. But over the last couple of days, things have shifted in my head. Slowly and surely, a new character has emerged. He’s beautiful and a bit broken. He’s got a big heart and some scars. And he wants to find his forever man. Just this morning, I may have gotten a glimpse of who that man is. I’m not rushing into anything. A couple of weeks ago, I decided to take the rest of the year off, and I still might do that. But knowing me, as the story coalesces, I might start putting things on the page. I think the interruption may be coming to an end. 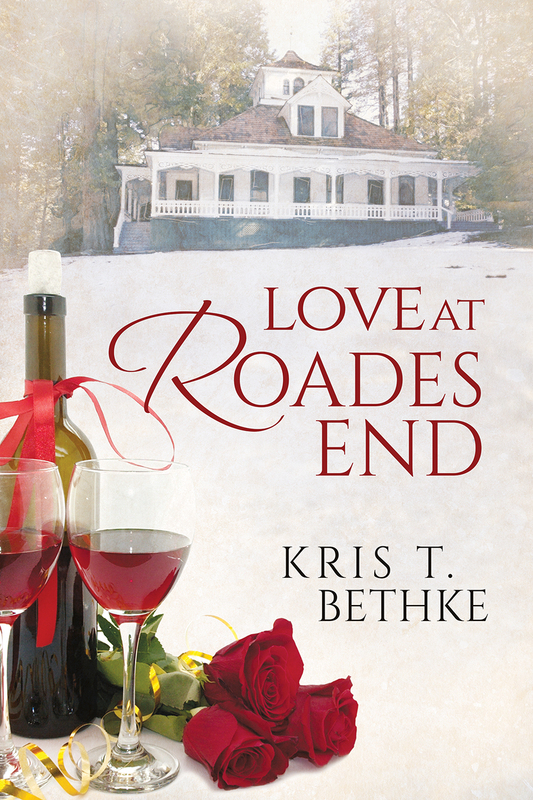 In the meantime, I’ve been working on edits for Love at Roades End, which comes out in February (and I CAN NOT wait to show you the cover on that!) and will soon start edits on Something Like Peace. So there’s still stuff in the pipeline, and things to look forward to. I’ll share more details as they become available, so watch this space for news! And! Flash fics will start again this week, and go about continuing on as they have been. I’m slowly getting back in the saddle..and remembering how comfortable it is for me to be there. I learned a couple of years ago that I could, in deference of everything else but work, write 50k words in ten days. That was exciting. I also learned that I absolutely cannot work that way and if the finished project needs a complete rewrite, then for me, there’s no point it writing it the first time. It works for others but not for me. I need to edit and tweak as I go. I need to fix things and delete entire paragraphs/scenes/chapters. I can’t just write and keep going no matter what because I write myself into corners I can’t get out of. So it’s not an approach that I like, and it causes me anxiety when I think about it. I’m not doing NaNo this year. But I see a lot of people who are. Rock on, authors. May the muse be with you. I’ll be writing with you. Just not the same way.